If you’ve ever been inside a mattress store, you’ve surely experienced the stress that such a visit can entail. Chances are you probably had to visit a few different brick-and-mortar mattress brand stores to even come close to finding a mattress that you felt comfortable on. Brick and mortar mattress stores often end up populating the same general area as competitors try to push each other out. The vast number of mattress stores, such as Mattress Firm that sell household name brands like Tempurpedic, are present in every major city. Why are there so many of them? And how are they all able to stay open for so long, especially when their storerooms appear to be empty most of the time? As a consumer, it can be daunting to have so many different options, and have to figure out what the best value is. Should you shop for your mattress at a brick and mortar or online? Your money is worth much more when you invest in a mattress bought online, instead of a physical name brand store. With an online mattress purchase, you won’t be paying any overhead to the mattress store. And, you can reassign the portion of your budget towards a mattress made with higher quality materials. In recent years, many “disruptor” mattress companies have opened up online. Online mattress companies practice the bed in a box business model. That is, they manufacture the mattress only when the mattress is ordered. After it is made, they compress, roll and package it and ship it directly to your doorstep. The mattress is not damaged in the shipping process. If you order a natural latex mattress from an online retailer, you won’t be paying the overhead that normally goes to the brick and mortar store and for the cost of warehousing the mattress until it is sold. In this article, I’ll explain how buying a natural latex mattress online will not only save you a ton of money but will also help you find a healthier mattress in comparison to a brand name polyurethane mattress from a store. What does your money actually go towards when you buy from a store? For quite some time, consumers purchased their mattresses at department stores, such as Macy’s and Kohls. In 2011 there were less than 8,000 mattress stores in the country. By 2016, there were 9,200 stores, with an estimated 10,000 to be open by 2018. As more and more stores opened that specialized in mattresses, consumers began moving away from department stores and started shopping in specialty mattress stores where they believed they could find a better product, with more variety available to them. Mattress Firm, one of the nation’s biggest retailers, began buying out the competition in 2016, acquiring Sleepy’s and other related entities, and ended up with 3,500 stores in 48 states. In a town in Indiana, they even had five stores less than a mile apart from each other. There are many other stores that operate on a smaller level than Mattress Firm and have many locations in different states. Some of them have smaller territories, and others can be found in almost every state. So with all of these competing mattress companies operating in such close proximity to each other, how are they able to keep up with the competition? The answer is high margin and low overhead. Simply put, they buy low and sell high. According to consumer reports, mattresses can have a markup in the 40-50% range. That markup increases even more when the price tag exceeds $1,000. Mattress stores achieve a low overhead by dealing directly with the manufacturers, meaning they get the product at a much cheaper price than what consumers pay. They also keep very little inventory in the store and ship directly from a mattress warehouse. Most stores also pay their employees on a commission basis, which also helps maintain low overhead. This is especially true when they usually only have a couple employees working at a time. According to a study done in 2015, a typical mattress store only has to sell about 20 mattresses a month to stay open. Any sales above 20 are profit. What’s even more surprising is that if the mattress store is part of a national chain, it doesn’t even have to meet the 20 mattresses a month target for the chain to be profitable. Even if a store isn’t very successful, it can still be kept open by the profits from other stores located around the country. It may seem foolish to keep a store open that isn’t bringing in enough profit. But, even if they aren’t selling many mattresses, they are still advertising for the brand because of the exposure the brand has. Many people still prefer going into a mattress store to try out a mattress firsthand. This is understandable. It’s nice to know what you’re getting yourself into when making such a substantial investment. However, shopping in a store can be quite deceiving. 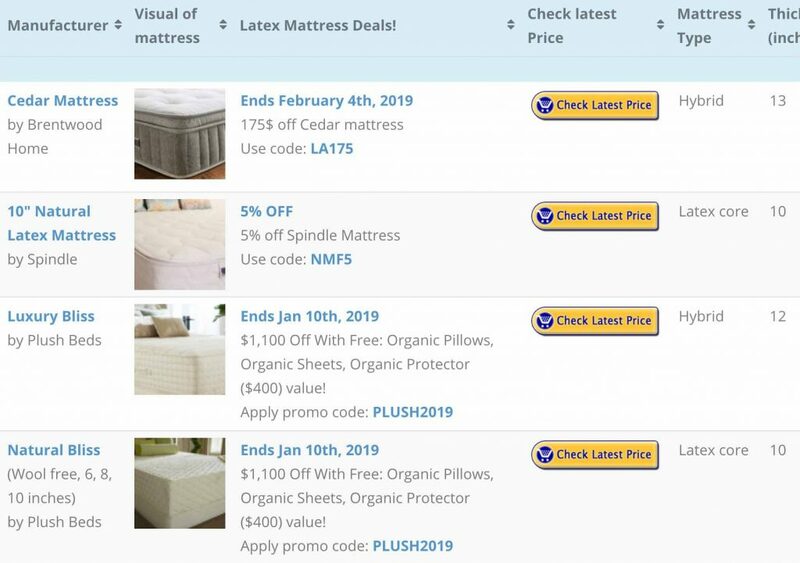 Many stores will use branding or “white labeling” to advertise a special mattress only available there, when in fact you can probably find that exact same mattress in another store under a different tag, possibly with a different price. Many stores now have their own branded mattresses, even though they don’t manufacture them. Manufacturers can sell their mattresses to different stores, with different tags. You could find the same mattress in two different stores, under two different names, and two different prices. This makes it difficult to compare mattresses accurately between stores. Some mattress brands found in conventional mattress stores include brand names like Serta mattress, the Tempurpedic mattress, and the Sealy mattress. Now that we’ve discussed how mattress stores markup prices, we can start talking about how you can use the same amount of money to get a better deal online. How can you get better value by buying a mattress online? When you purchase a mattress from an online retailer, you are bypassing the middle man i.e. the brick and mortar storefront. You are essentially cutting out the middleman since you are not paying for markup, employee commissions, or any of the other costs the storefront needs to operate. When you take out these extra costs, a larger portion of your money goes the quality of the mattress. By buying a mattress online at the same price point, you will be getting a better one than what you would in a store such as a Mattress Warehouse and other mattress discounters. When you invest in the quality of the mattress, you are not only getting better comfort but also better materials, which leads to higher safety and durability. It’s almost unheard of to find a brand name mattress such as Sealy, Simmons, Tempurpedic etc. made with 100% natural latex in brick-and-mortar stores. This is because the price of a natural latex foam material is fairly high when compared to polyurethane. 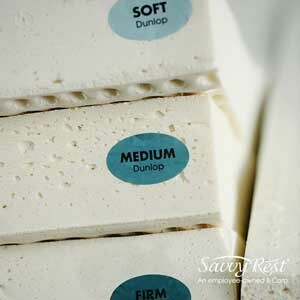 Combine this with the markup a 100% natural latex name brand mattress sold in a store becomes unaffordable for most people. All natural latex mattresses are known for being safer since they don’t contain any of the harmful chemicals found in many conventional name brand mattresses. Natural latex mattresses are also more durable, longer lasting, and higher quality than most other conventional mattress materials. This means that when you buy directly from a manufacturer online, you can potentially save yourself 50-70% of the cost. 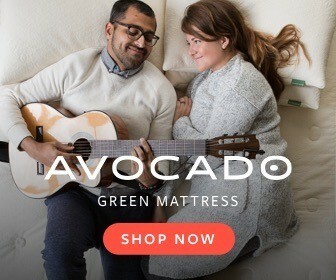 Another reason you probably won’t find these mattresses in stores is that often times they are custom made to order specifically to the preferences of the consumer. Online natural mattress manufacturers are aware that you may be skeptical of purchasing a mattress online, especially since it is such a large investment. Plushbeds, one of the leading online natural latex mattress manufacturers, comes with “A” rating from Better Business Bureau, and have thousands of satisfied customers. Plushbeds mattresses also come with the Greenguard Gold and GOLS certifications, ensuring that you’ll be getting a healthy mattress from a trusted company. These certifications are awarded for products that are approved for health sensitive people such as kids and the elderly and use only safe and raw materials. This means you won’t have to worry about harmful chemicals such as flame retardants and volatile organic compounds (VOC’s) being found in your mattress. Many traditional manufacturers use a large variety of these chemicals in their products, many of which have never been tested for safety, or have been confirmed to have detrimental health effects. When you buy an organic mattress, you are not supporting corporations that produce harmful petrochemicals. Companies like DOW supply materials to mattress manufacturers that more often than not end up in the environment at the end of their life cycle. Online retailers understand the stress that can come with buying something like a mattress without trying it out first. Most online mattress-in-box retailers provide a 100+ night return policy in case you don’t like the mattress you received, often for free. An online mattress in a box manufacturers have a huge variety of options for you to choose from, whether you’re looking for a twin mattress, queen mattress, full-size mattress, a king-size mattress, or a pillow top mattress, you’re sure to find the size and thickness you’re looking for. Online mattress in a box stores will ship to you directly from their manufacturing facility, essentially cutting out the middleman. It’s nice to be able to walk into a store and try something out before you buy it, especially when that something costs $1,000+. When you think about it though, that’s about the only thing physical mattress stores have going for them. In order to get that one benefit, you have to travel to many stores and deal with the salesman who will do just about anything to make a sale. And then you have to try to compare the different mattresses you have selected, sometimes from different stores. In the end, you may still not know for sure if you got a good deal. When you buy from an online mattress in a box retailer, you avoid most of the markup associated with purchasing a mattress in a physical store. 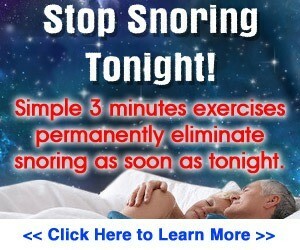 This will allow you to fully invest your money in the quality of your mattress. You can attribute the portion of your mattress budget that you would have normally spent on markup and put it towards a natural latex mattress. The quality of the materials will be far superior for the same cost. It’s not about saving money. It’s about getting a better quality, healthier and longer lasting product for the same price. With manufacturers like Spindle, Plushbeds, Brentwood Home, Avocado Green, and Sleep EZ, you can be sure you are getting the best value for your money. And, you can sleep easy knowing that your mattress is made of safe organic materials. A 100% Natural Latex Mattress Topper: Will Adding One Help You Sleep Better? Chemical Fire Retardants In Mattresses: Are They Safe?